The game’s plot depicts a story of the maniac king who wants to dominate the world by conquering diverse enemy terrains in order to fulfill his maniac ambition of growing potatoes. As funny as the plot may sound the game is surely an engaging affair. With cartoon style, soothing blending music, well-polished 3D levels, and variety of in-game characters the game stands out in its overall presentation. This is definitely a big plus for King Mania. 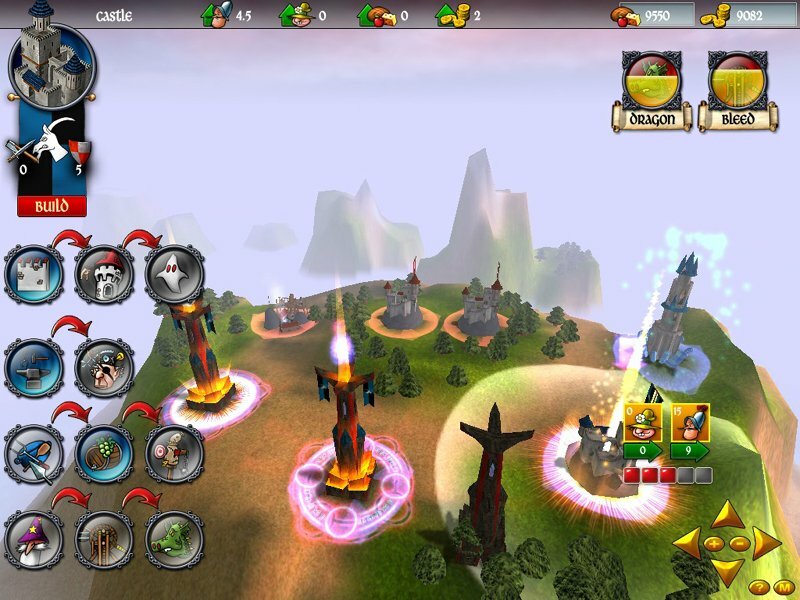 The action strategy gameplay is well supported with variations in maps and randomization of level items. 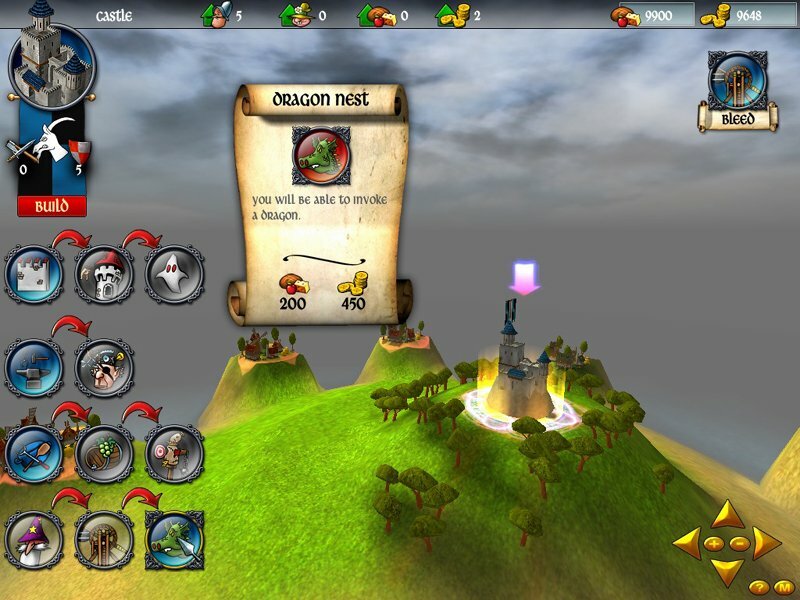 The game flaunts 30 unique levels with over 30 upgrades and 5 different spells. You can also play the game with your buddies online in the multiplayer mode. The difficulty level of opponents may feel not greatly challenging until you progress the initial levels but nevertheless the game never gets boring. The game is slightly inclined towards the casual gamers and for gamers who can enjoy the action strategy gameplay. As the year winds out, the world is looking forward to the promises of tomorrow. Well, rather interestingly the future holds great nostalgia for Facebook users as the legendary British comedy troupe Monty Python is working alongside game developers Zattikka to take its surreal humour and psychedelic art into the realm of social gaming. The Ministry of Silly Games, which will include eight free games, is slated to be released on the social networking site in 2011. Based on some of Graham Chapman, John Cleese, Terry Gilliam, Eric Idle, Terry Jones, and Michael Palin’s most popular skits, the games are set to “bring Monty Python characters and scenes to life like never before”, Gamespy reported, quoting Terry Jones, the ‘Monty Python and the Holy Grail’ star. While the Pythonesque virtual world is set to provide the Facebook users with farcical diversions with Monty Python’s surreal brand of humor, an exciting aspect of the games for observers of art would be that the sketches and imagery from the films and show will be incorporated into the games. The TV series Monty Python’s Flying Circus that ran from 1969 to 1974 had animations between sketches and the opening credits. Original Python and film director Terry Gilliam was the man behind these pieces. Anarchy was embodied by twist of famous works of art such as Botticelli’s ‘Venus’, which was animated to senseless dancing for comic effect. At the same time, Gilliam, whose film directing credits also include Twelve Monkeys, Fear and Loathing in Las Vegas, and Monty Python and the Holy Grail, worked on a surreal level of art. The giant foot descending from the sky to squash the figures below, bulbous comic-book like characters, a man’s teeth turning into piano keys, the old woman walking a pram with a granny-gobbling monster, human figures or body parts grafted onto the bodies of animals, a couch potato with his eyes sucked out by the TV are some of the popular and memorable examples. While promoting the The Ministry of Silly Games, both Gilliam and Python Terry Jones are quoted in several media reports as explaining that art not only influenced the animations but also the content of many of their acts. “Both of us are huge Bruegel and Bosch fans. (It’s a) kind of a medievalist view of the world which seems to me to be a lot more alive and interesting than most of the iconography of our modern world,” Gilliam is quoted as saying. So, now we know that the comic yet didactic style of Monty Python art was derived from Bruegel, while Bosch provided the inspiration for fantastical or surreal imagery. Even though Bruegel and Bosch were very early painters, surreal art comes from a comparatively recent movement in 1920s. Surreal art can best be seen as distortion of the world as we know it or see it. The works hold an element of surprise with absurdity and juxtapositions. Surreal or Psychedelic art has been one of the most intriguing, meaning-ladden genres of art, and is capable of rendering multiple and varying interpretations. However, Gilliam does not seem to be too happy with the way violence takes over aesthetic in video games made these days. “I don’t know, most games I look at it seem to be incredibly violent. Our violence was much funnier — bloodier — but funnier,” he opined. – King Arthur’s Knight Fight: A slice-’em-up games, featuring the Black Knight, The Killer Rabbit, Tim the Enchanter, the Holy Hand Grenade and God. – Monty Python’s Scratch ‘N Sniff: Observation game with Zattikka’s original Flash Scratchcard mechanic. 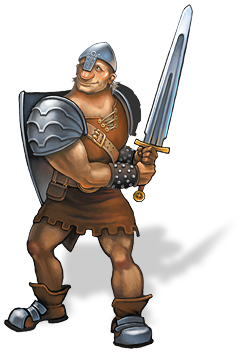 – Camelot Smashalot: The goals of this game would be to catapult livestock, Holy Hand Grenades and Trojan rabbits at the fiendish French fortresses. – Twit Russian Roulette: The player has to keep an upper-class twit alive for as long as possible in this wacky game of Russian Roulette. – Mr. Creosote: In this one-button reaction game, the player has to feed Mr Creosote his favorite nosh but avoid the wafer thin mints. – Gumby Flower Arranging: The player has to help the Gumby match three flowers of the same kind. The consequence otherwise would be he will hit himself with bricks. – Gillaxian: This arcade-style shooter is also a tribute to a great game by Namco and a great artist. – Aerial Antics: This is a puzzler in which the player has to balance the TV aerial on household objects to tune in. The triple delight of gaming, art and comedy prompted us to sit up and take notice. We have already registered to participate in the Monty Python closed beta. As soon as we have something to share on the outcome of this interesting development, we’ll be back to blog. However, be warned that our love for psychedelia is probably going to affect our views. What we would also love to see is a game based on Gilliam’s other masterpiece – The Imaginarium of Doctor Parnassus.